♦ Ambassador Arturo García y Garcia. In Argentina opposition to their junta was mounted by the human rights group called the Mothers of the Plaza de Mayo. Almost alone in defying the military, these women risked their lives by demonstrating every week in the Plaza, seeking information about their children who had vanished into the torture chambers and the sea. Among the mothers was Noemí Gianetti de Molfino whose daughter Marcela had been "disappeared" by the Junta in 1979. In 1980, as the concordat was being prepared, Noemí, fled Argentina, but she was hunted down in Lima by the Peruvian Junta. 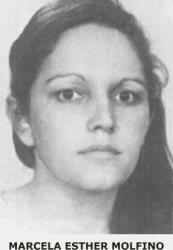 Her body was found on 21 July 1980. On 28 July 1980 the democratically-elected president assumed office and the nightmare was finally over. But the dictator had committed the country to a concordat two days before he left and that remains in force today. The Peruvian concordat with the military junta is just one of many concluded with despots, large and small, such as Hitler, Mussolini, Franco, Duvalier, Trujillo, Dollfuss, Houphouët-Boigny, Aramburu and Onganía. (Rightwing) dictators tend to give the Church far better terms than democracies do. In Peru the Vatican managed it with only two days to spare — but that was sufficient. 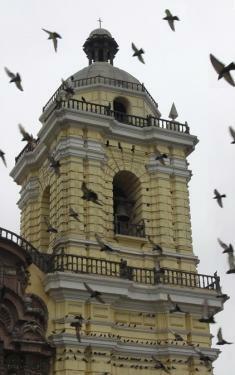 The Peruvian Protestants had been lobbying for a law to promote more religious freedom and equality with the Catholic Church. As in Brazil, they have let their desire to share some of the privileges given to the Catholics neutralise their opposition to the concordat. In the course of the negotiations, the Protestants agreed in March 2010 that the law they sought would have no bearing on the concordat. It has even been reported on their website that they are willing to delete from the draft law all mention of the principle of church-state separation (i.e., a "secular state/Estado Laico") which would threaten the concordat. Some Peruvians are left wondering what right these churches have to "negotiate" about a legal principle that affects everyone. The following excerpts from the US State Department's International Religious Freedom Report on Peru for 2009 hints at some of the consequences of the concordat — huge state subsidies for the Church, pupils obliged to take Catholic religion classes in state schools if they want good marks, and massive Church influence in the military. The law mandates that all schools, public and private, impart religious education as part of the curriculum throughout the education process (primary and secondary), "without violating the freedom of conscience of the student, parents, or teachers." Catholicism is the only religion taught in public schools. [...] Non-Catholic organizations complained that although their adherents were exempt from attending Catholic instruction, students who did so lost academic credits. Students who graduated from primary and secondary schools without these credits could not be at the top of their class, regardless of other academic achievements, and were thus disadvantaged in competition for scholarships and for admission to universities. By law the military may employ only Catholic clergy as chaplains, and Catholicism is the only recognized religion for military personnel. A 1999 government decree creating 40 Catholic military positions obliges members of the armed forces and the police, as well as relatives and civilian coworkers, to participate in Catholic services. 1. http://destp.minedu.gob.pe/docum/dly-23211.doc See the translation of the discreet note added in Latin at the end of the concordat text, which shows that the document wasn't ratified until 26 July 1980. 3. Article 56: "...deben ser aprobados por el Congreso los tratados que crean, modifican o suprimen tributos". "Constitución Política del Perú, sancionada por la Asamblea Constituyente el 12 de julio de 1979 y puesta en vigencia con el cúmplase correspondiente el 28 de julio de 1980 por el presidente de la República, Fernando Belaunde Terry". 7. The Protestant groups negotiating are the two major evangelical umbrella organizations, the National Evangelical Council of Peru (CONEP, founded in 1940) and the Union of Evangelical Christian Churches of Peru (UNICEP, founded in 2003). The interfaith working group [of non-Catholic religious groups] continued to advocate for a law to promote further religious freedom and equality. On June 11, 2009, thousands of evangelicals and supporters marched to Congress to draw attention to draft law 1008/2006 - CR Law on Religious Freedom and Equality.